"So Close, Yet So Far!" Denny Jump (Bellevue, WA, United States) on 4 January 2019 in Landscape & Rural. Introducing one of the very first shots from my new camera! I am taking baby steps because my retention is poor...it takes me many attempts to "get things right!" Nevertheless, this amazing cropped view emerged from my Sony DSC RX10M4 as I stood in my neighborhood which can be quite steep and "hilly"!... 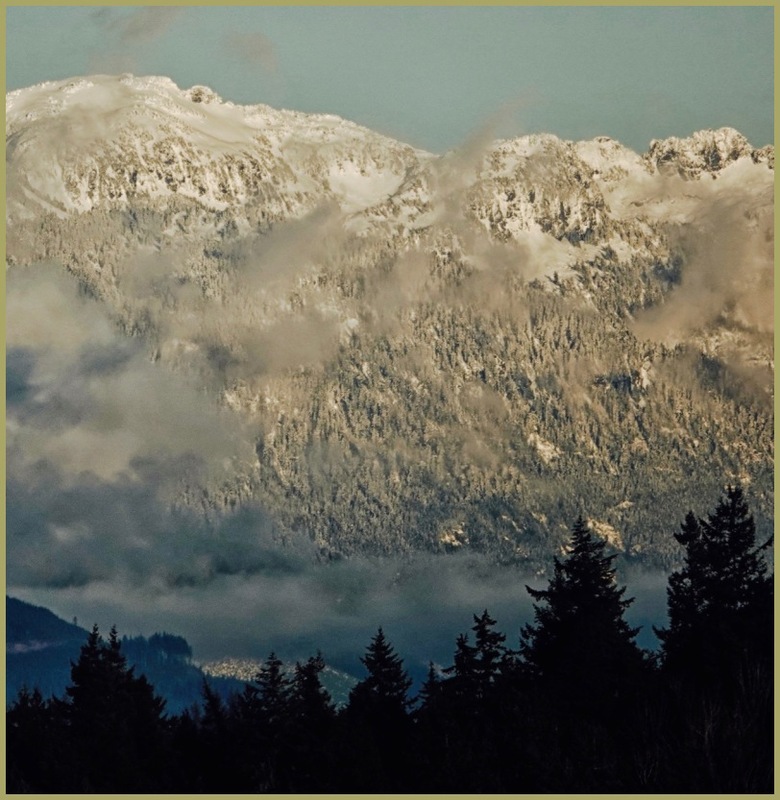 I was able to get this image as I stood on a spot that afforded views across the valley where Lake Sammamish rests and onward up some of the western slopes of the Cascade Mountain range (a distance of perhaps 18 - 20 miles, if my research was correct)! I was able to crop and adjust this image which was actually a "mid-day shot (breaking the nature photographer's law but seemingly helpful here). But I am not complaining. I hope you like this and please feel free to "critique the daylights" out of this image! I'm all yours! The cloud covering part of the mountains add to this image and the light is really good. I would say, for a "baby step" a very good result. I enjoy the timeless feel here ! Love the compo too & the tones, well done & enjoy your new camera my dear !